Help Rubiya Fathima Who Is Critical Due To A Fatal Road Accident. 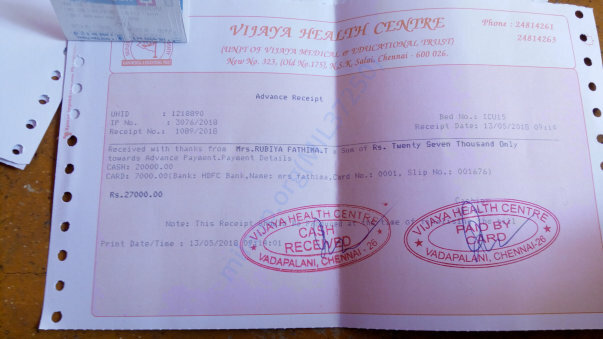 My name Sharfudeen from chennai, My sister(Mrs. Rubiya Fathima) and her 3 yrs old daughter Baby.Thanisha parveen met with an accident on May 2nd evening around 5.30 near Kathipara flyover Guindy. 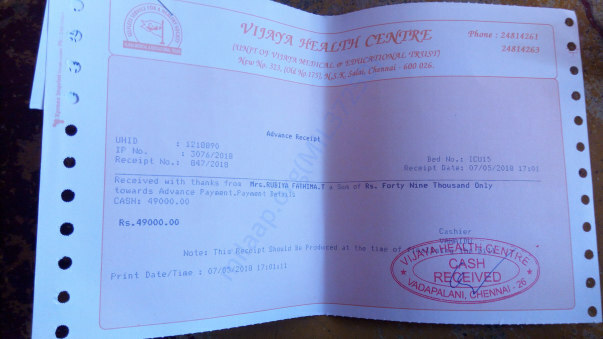 First she was admitted in Balaji Hospital Guindy, doctors said like her condition is worse take her to some other big hospital for treatment. 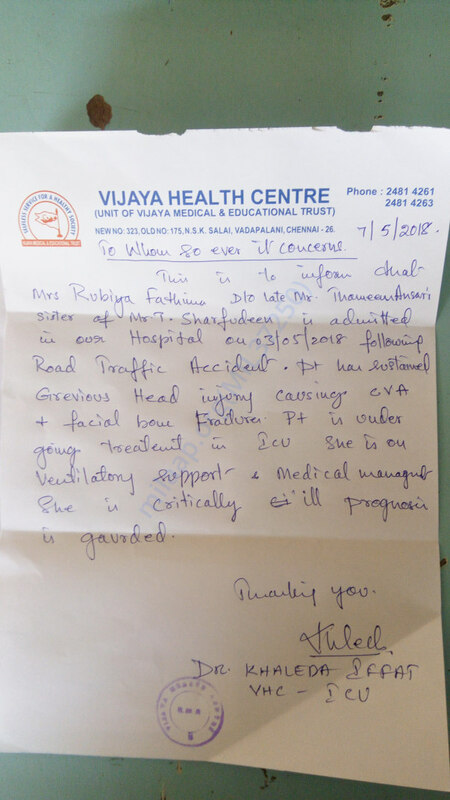 On May 3rd she was admitted in Vijaya Hospital Vadapalani, still she is in ICU unconscious condition. 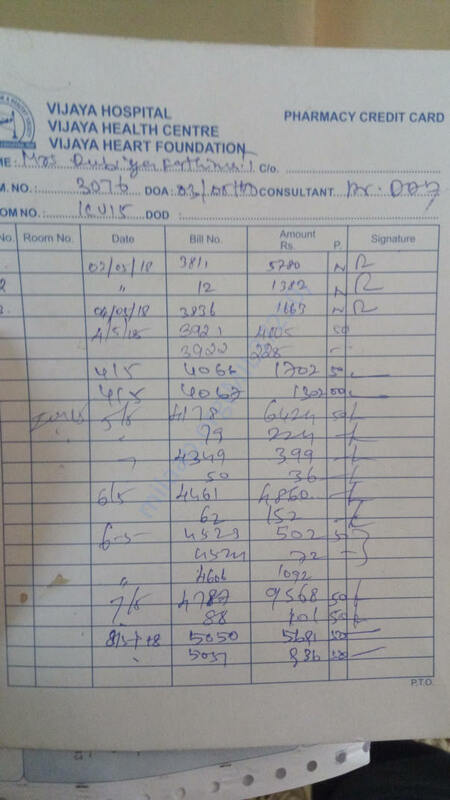 Doctors said like it will take more time to recover, we are middle class family, till now we spent 8 lakhs for this, now we are asking help to all my friends. 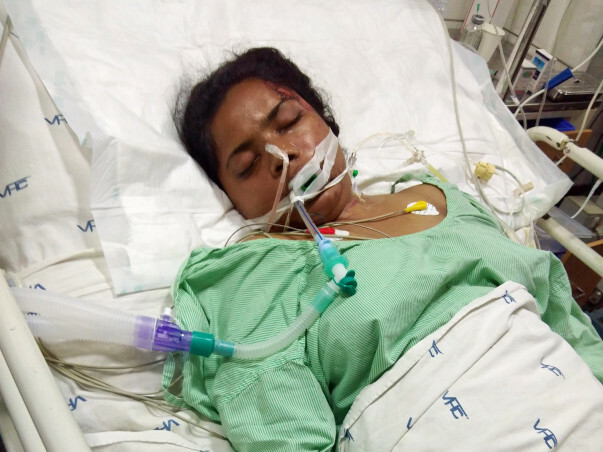 Pls we dont know what to do, in hospital if you cant spend take her to any govt hospital, still she is in unconscious condition also there is fracture in her neck and face. I kindly request everyone to help me to save my sister life. Thank you for your love! 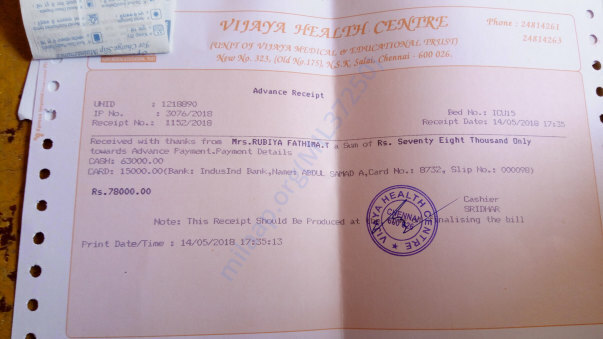 Still there is two more operations and her condition is very bad and need more financial help. 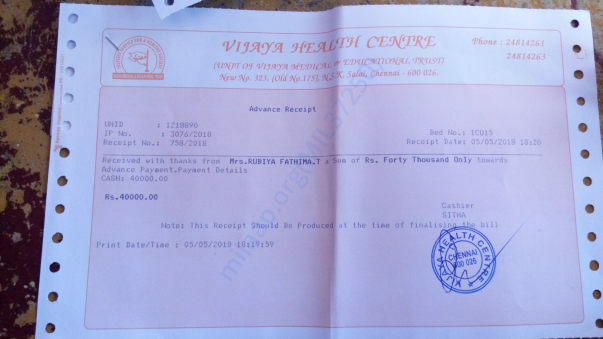 Please help for her medical treatment.. Thank you for all your support friends, now my sister condition is much better. Recognizing people very well, now trying to stand with some support. Two months before went for tracheotomy closure operation, now she is taking normal food. Still, her memory is the main problem, doctors saying like it will take some time for her complete conscious. Need all your support and blessings for her speedy recovery. I am humbled by the love and support given to Rubiya. I would like to inform you that she is presently doing better than before. She has gained consciousness and has also started to recognize people. However, she is still unable to make sense out of almost anything. The physiotherapy has been going on after which she has now also started to stand by herself. Please continue to pray for her health and share the campaign. Thank you to all of you for the generous love and support. May Allah give her cure soon inshaAllah.